Astronomers recently caught the sudden flare of a star being ripped apart by the supermassive black hole at the core of a galaxy 290 million light years away, a phenomenon known as a tidal disruption event. The outburst was first detected at optical wavelengths by the All-Sky Automated Survey for Supernovae, or ASASSN, in 2014. 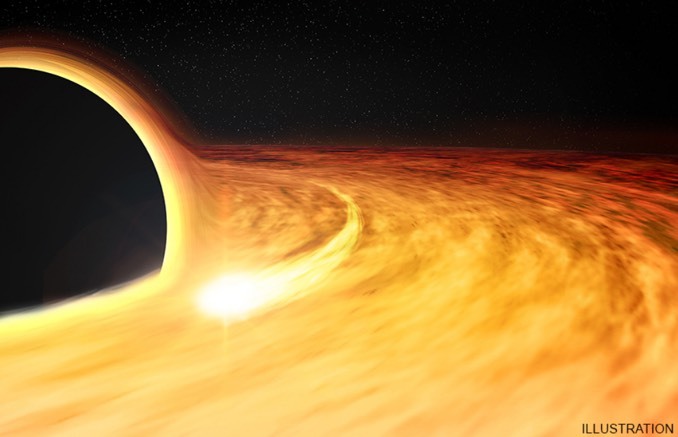 Analysis of X-rays from the flare, using NASA’s Chandra X-ray Observatory, the Neil Gehrels Swift observatory and the European Space Agency’s XMM-Newton, showed repetitive brightness variations that could be clocked as debris whipped around the black hole just outside its event horizon, the point of no return for material being pulled into the singularity. Researchers concluded the event horizon is about 300 times the diameter of Earth and rotating once every two minutes. That means the black hole is spinning at least half as fast as the speed of light, maybe faster. Black holes have two fundamental properties: mass and spin. Determining the mass is relatively straightforward, but pinning down the spin rate is much more difficult. 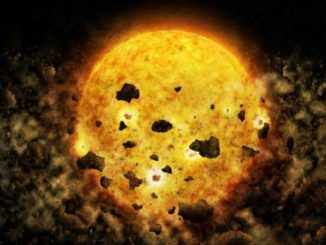 The spins of a few stellar-mass black holes have been determined by studying regular brightness variations, but ASASSN14-li is the first supermassive black hole to exhibit variations over long enough periods to compute a reliable spin rate. The research appears in the journal Science. The NASA video below shows how the tidal disruption event likely proceeded. Astronomers have produced a highly detailed image of the Crab Nebula, by combining data from telescopes spanning nearly the entire breadth of the electromagnetic spectrum, from radio waves to X-rays. Energetic Wolf-Rayet stars near the end of their lives produce fast-moving stellar winds that can interact with the surrounding interstellar medium to generate spectacular bubbles in space. 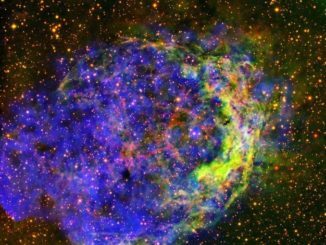 They rarely emit X-rays, but ESA’s XMM-Newton space telescope caught one in the act.